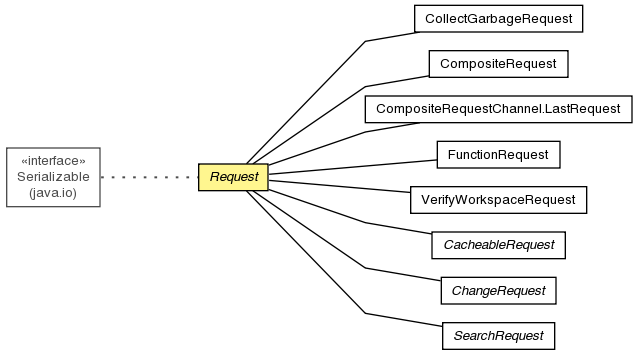 The abstract base class for all classes representing requests to be executed against a RepositoryConnection. Utility method to check that the request is not frozen, and if it is to throw an IllegalStateException. Freeze this request to prevent any further modification. Get the error associated with this request, if there is such an error. Check whether this request has been cancelled. Determine whether this request has been frozen, preventing any further updates. Set the error for this request. Check whether this request has been cancelled. Although it is a recommendation that the result of this method be followed wherever possible, it is not required to immediately stop processing the request if this method returns true. For example, if processing is almost complete, it may be appropriate to simply finish processing the request. true if this request has been cancelled, or false otherwise. Freeze this request to prevent any further modification. This method does nothing if the request is already frozen.